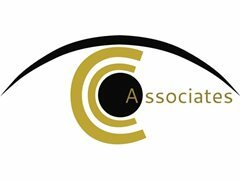 CC Associates is looking for the next generation of film, TV and MT stars.... Do you have what it takes? Must be having current acting class training. Must be London based or within the M25. Must be passionate about wanting a career in film and television. Must be willing to get a membership for SPOTLIGHT or already be a Member of. Must not have any other theatrical representation showing on spotlight. We are based in London and have a sister Talent Management company called C Talent in Los Angeles, if you have are legal to work in the states, please let us know. Preparation + Opportunity = LUCK. You will be asked to preform a 1min monologue and we will then have a brief chat with you and your parents/guardians. Please research us before coming in.